Should Canadians be Putting their Money into a TFSA? – Jiwan Dhillon & Co.
Should Canadians be Putting their Money into a TFSA? Now that the Tax-Free Savings Account (TFSA) contribution limit has grown to $6,000 per year, this has the potential to help Canadians save more of their income. As an increase from $5,500/year in 2018, for those fortunate enough to have money to put towards savings, investing in a TFSA is a smart move for several reasons. How do Tax-Free Savings work? Any Canadian 18 years of age or older can have access to a tax-free savings account. Any investment you put in, you do not need to pay any tax on – hence the name. TFSAs originally began in 2009 under the Harper-led federal government. Initially, TFSAs had a $5,000 per year limit. Since then, the government’s increased the limit to the newly decided-on $6,000/year. How much can I put into a TFSA? What’s important to note is that TFSAs are cumulative meaning that any unused room in the account carries over from the prior year. For example, let’s say you were 18 or older in 2009. If you’ve never put any money into a TFSA, your limit today of how much you can maintain in a tax-free savings account is $63,500. Who contributes to a TFSA? If you have the financial means to put away a few bucks every paycheque, throwing $20 in under automatic deposit is a no-brainer. A TFSA is one of the simpler and advantageous savings accounts as it allows everyday Canadians to minimize their tax while saving money. That said, when you reach the limit, that’s it for the year. After you reach your cap, you have to wait until the following year until you can deposit more. Should I contribute to RRSP instead of TFSA? 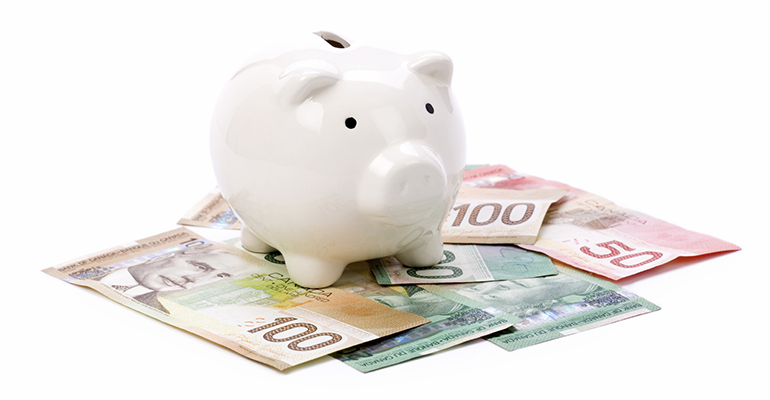 Registered Retirement Savings Plans (RRSPs) also let you save money without seeing it taxed. RRSPs have a limit of 18 percent of the earned income you report on your tax return up to a maximum amount. RRSPs are specific to retirement and thus, if you have a long-term savings plan, they work for withdrawals you intend to make in your senior years. Comparatively, if you’re saving for a car or something more short-term, TFSAs are the preferred savings account. The primary advantage to RRSPs are that what you’ve saved is tax-deductible, compared to what’s in a TFSA account which is not. A disadvantage of RRSPs are that you are taxed on withdrawals, as opposed to TFSA withdrawals where there is no tax. If you’re making $40,000 or less a year, using a TFSA is recommended over an RRSP as it provides you the chance save and make withdrawals with less hassle. For incomes of $150,000/year or more, an RRSP is absolutely something to have set up because you’ll want the tax deduction. If you haven’t already opened a Tax-Free Savings Account, we recommend contacting your banking institution and setting one up. Set up automatic deposits every month. At the end of the year, you’ll be very glad you did!